2015 has been turbulent for local mobile operator, Telecel. From scrapes with the government and the regulator regarding its licence, the noise over its ownership and also being in a really stiff business environment, this is one year the operator would want to forget. 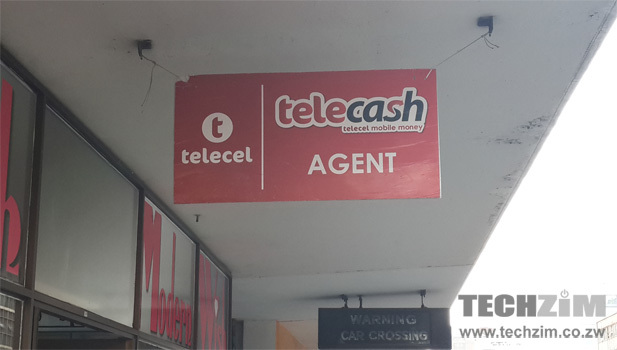 Despite all of that, Telecash, the mobile money arm of Telecel has come out of the Telecel licence episode unperturbed it would seem. The latest statistics from Telecash indicate that despite what must have been a lull in uptake during the last quarter, Telecash has not shed significant numbers. Head of Telecel Mobile Financial Services, Arthur Matsaudza, is buoyant about the prospects of Telecash this year indicating that they have major developments that will “shake the market” before year end. Telecash, in fact, has approached the one million subscriber mark since launching last year on January 29. With the Telecel subscriber base standing at just over 2.1 million, Telecash has registered tremendous growth as nearly 50% of Telecel subscribers are on Telecash. This is a higher density than their competitor EcoCash, which at its one year mark, was standing at 1.7 million out of the then 5 million subscribers on Econet. EcoCash has managed to move the ration up to 70% to date. The future looks bright for Telecash as they have the ability to reach just as high a ratio within 2 years of launch. Subscriber numbers, however, do not necessarily translate into utilisation of the platform. Matsaudza was confident though, further explaining that of the near one million subscribers, 40% percent of them are actually active (used the system in the last 90 days). Telecel argues that in as far as reporting they have the highest integrity and we are inclined to believe their figures because of the compliance that Telecel adheres to as a subsidiary of VimpelCom. We hope the active customers were not in fact final transactions of withdrawing the remaining balances in their wallets. A further comparison shows that while Econet may report very high figures on their mobile money platform from a lower number of customers; Telecash, considering its size, sees an avenue in the higher volumes lower value transactions. As a result, Telecash in the last year contributed 1% to the overall revenue collected by Telecel, falling 1% behind Econet’s VAS family, EcoCash included, which stood at 2%. Another interesting comparison is how EcoCash has plus 17,000 agents for its 4.5 million subscribers against Telecash’s 6,000 agents for its one million subscribers. An EcoCash agent theoretically serves 265 clients compared to 167 for Telecash which is way more comfortable though not necessarily convenient in terms of geographical dispersion. All these statistics give some sort of hope for Telecash outside of being simply a minute market share holder and we await the “market shaker” that they are promising to unleash before end of this year. I am still surprised why one will send money with Ecocash? Has anyone ever used Telecash?